Mynumer.com - Do You Know How to Save Your Vision? Have you ever wondered what you’d do if you couldn’t see? How’s your vision now? Can you see okay? Do you expect to get cataracts or macular degeneration because your parents did? More importantly, do you even know what to do to save your vision? March was Save Your Vision month, did you give it any thought? You’d better! If you’re under 40 you might be thinking this doesn’t apply to you – it does! In fact, the younger you are, the more you should pay attention! Our dependence on technology has really impacted our vision. For example, “nearsightedness has increased from 25 to 41% from the 1970’s to the 2000’s, in large part to our use of computers.” Given the addition of smart phones, I-Pads, notebooks and Kindles, this number is likely to increase. You’ll learn more facts like this in 6 Ways to Save Your Eyesight from AARP . But whether you’re young or old, you need to pay attention to what’s happening with your vision. The mainstream medical fix is glasses or contacts. They don’t fix the problem, they treat the symptoms. 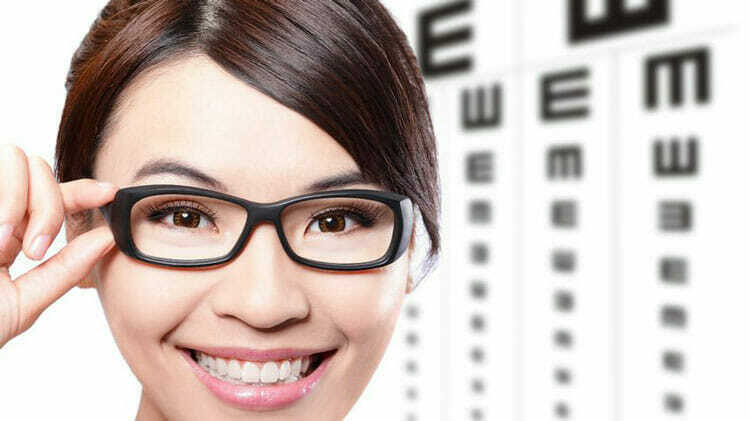 Did you know wearing glasses can actually make your vision worse over time? Many people opt for Lasik surgery. Since I have a family member who’s eyesight was damaged from this surgery, I’m biased against it, but I’m not alone. Thousands of people have suffered from Lasik surgery as you’ll see in this article from Dr. Mercola. So what do you do? A much more natural solution which gets to the root cause is the Bates Method of vision correction or you can order Dr. Mercola’s natural vision correction. By the way, Dr. Bates says mental stress is the primary cause of vision problems not heredity! If you’ve had Lasik surgery,spend a lot of time in front of a computer, are over 50, postmenopausal, are diabetic, have a thyroid disorder, (millions do and don’t know it!) rheumatoid arthritis, lupus, or a number of other health conditions, you may have dry eyes. To help dry eyes naturally ,consider our bestselling homeopathic eye drops from Sanum. The Mayo Clinic says lubricating eye drops with preservatives can be irritating so if you need to use drops more than a 3-4 times a day; single dose vials are better. Omega-3 essential fatty acids can also be helpful. Moistur-Eyesfrom Carlson Labs provides nutrients to support and help maintain normal eye moisture. In addition to eye drops, take breaks from your computer and drink plenty of water. One study showed that individuals taking a multivitamin and mineral containing either or both of these nutrients for 10 years or more enjoyed a 60 per cent reduction in risk of cataract. Another study found that taking vitamin C supplements for at least a decade reduced the risk of cataract development by 70 per cent. Supplementing with 500 mg of vitamin C each day might also help you in the long term. If you have glaucoma, don’t drink large amounts of water at one time, this can also increase eye pressure. Sip smaller amounts throughout the day. Like glaucoma, this is a serious condition and should only be diagnosed by an opthalmologist. Mayo clinic gives a comprehensive explanation of macular degeneration, but it’s a chronic eye disease that “causes the deterioration of the macula (center of your retina) which is the layer of tissue on the inside back wall of your eyeball.” Here are the symptoms. Age, family history, smoking, your race (Caucatians are more susceptible) obesity, poor diet, cardiovascular disease and unhealthy diet, and those who have difficulty absorbing nutrients in their diets (digestive disorders). Prescription medications can put you at risk! These include: erectile dysfunction drugs, anti-psychotics, corticosteroids, tamoxifen, amitriptyline and imipramine, hydroxychloroquine. Make sure you get your eyes checked more often if you are taking any of these medications. Surgery is an option for some people with macular degeneration, but again there are natural options to help prevent or slow it down. Daily consumption of high antioxidant foods in the diet or from juicing. Spinach, kale, garlic, carrots, berries, etc. are just a few examples. Frequency specific micro-current (FSM) and micro-current stimulation (MCS) have both shown promise. A clinical trial in Australia showed saffron to be helpful. The dosage was 20 mg. Vision improved after only two weeks on the saffron! Do you think taking care of your vision is important? Start now and make your eyes a priority. Foods that help your eyesight are spinach, salmon, walnuts, broccoli, green tea, eggs, avocados and berries (blueberries, cherries, blackberries & strawberries), kale. Foods that are high in antioxidants are a must. Besides the Eye Support listed above, other popular choices for eye support are Macushield from Douglas Labs and Omega7 Eye Relief from Terry Naturally. And don’t forget the omega-3 fatty acids! Don’t ignore changes in your vision. Seek medical help ASAP if vision changes come on suddenly. If you have good vision, take action now and follow these tips to save your sight!